Image Comics and Top Cow Productions are offering fans an opportunity to catch up on the first five WITCHBLADE issues, hot off the Top Cow Universe-altering events of ARTIFACTS #13 and WITCHBLADE #150, with WITCHBLADE: REBIRTH VOLUME ONE trade paperback! With an introductory price of $9.99, readers can easily discover the series that has everyone buzzing. The collection, by the passionate new creative team of Tim Seeley (HACK/SLASH, BLOODSTRIKE) and Diego Bernard (The Man With No Name), along with Top Cow’s new REBIRTH continuity, provide an ideal jumping-on point for new readers. Additionally, Top Cow’s Free Comic Book Day features WITCHBLADE: UNBALANCED PIECES, a prologue to the story in REBIRTH VOLUME ONE - and readers will want to know how it unfolds! In the wake of Top Cow’s REBIRTH, Sara Pezzini has relocated from New York to Chicago and struggles to adapt to her new job as a private detective. Pezzini quickly discovers that a change of scenery and occupation hasn’t changed one thing… the Witchblade is still a magnet for the supernatural. Quickly drawn into a conflict between two mystical gangs, she must once again balance her responsibility as bearer of the Witchblade with her personal life. Seeley and Bernard’s bold new direction for Top Cow’s flagship character coupled with a stunning painted cover by John Tyler Christopher (ARTIFACTS), a complete cover gallery alongside a host of bonus content and extras make this entry-level priced collection a must for anyone curious about Top Cow’s REBIRTH. 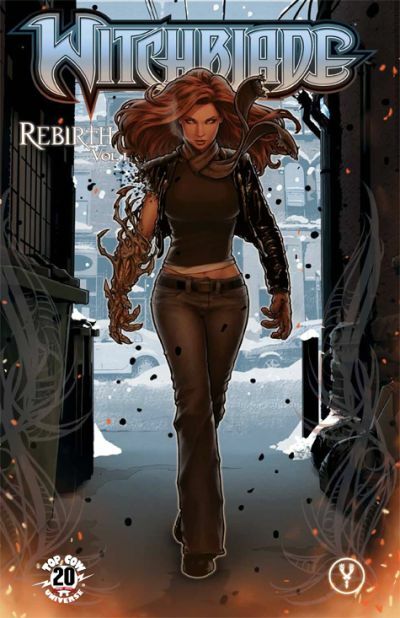 WITCHBLADE REBIRTH VOLUME ONE is a full-color, 144-page trade paperback that collects issues #151-#155 retailing for $9.99 and will be in stores May 16th, 2012.